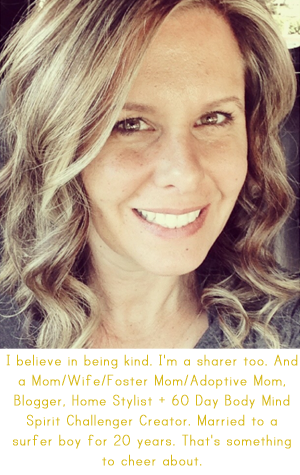 April Kennedy...My Life + My Style: LITTLE MESSENGER! The other night Kaia yelled out for us to call "Zoe". 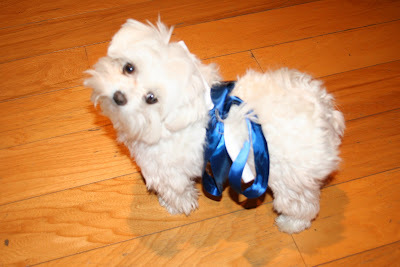 We called for Zoe, our little Maltese and the "and a dog" part of my blog title, to come to us. This is what we found. A message from Kaia asking us to come down the hall to turn off her light for her! We sent Zoe back with a message that said, "We would be right there. Now GO TO SLEEP." 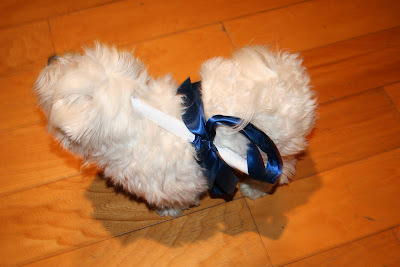 If you look closely in all her white fur, you will see the message rolled and attached with a pretty blue bow! It is the fun little things like messages on a doggie's back that I want to remember forever. The time Kaia was still young enough to be scared of getting up and turning her own light off and the cute little idea she had by using our dog as her own personal messenger! Isn't she cute? The dog that is! And Kaia too! Just the story to cheer up a Friday morning :) Adorable! YES! It's all the little things that make it all sweet. I'm so glad you took a moment to capture the memory and share it with the rest of us. Kaia, you are super cute! Tristan used to attach notes to his Remote controlled cars and drive them out to use...they were always notes asking if he could get out of his room...always in trouble. It was funny to see which way the car would go, based on where tristan thought the car would be in the house. He couldn't see where it was!